Contains Fresh Jewelweed Infused in Organic Olive Oil. Directions: To Unlock Sprayer - Push Tab in. Before Exposure as a Preventative for Poison Ivy/ Oak -- Spray onto Clean, Dry Skin. After Exposure to help Soothe and Relieve Itch -- Spray onto exposed area, Clean skin first if possible. 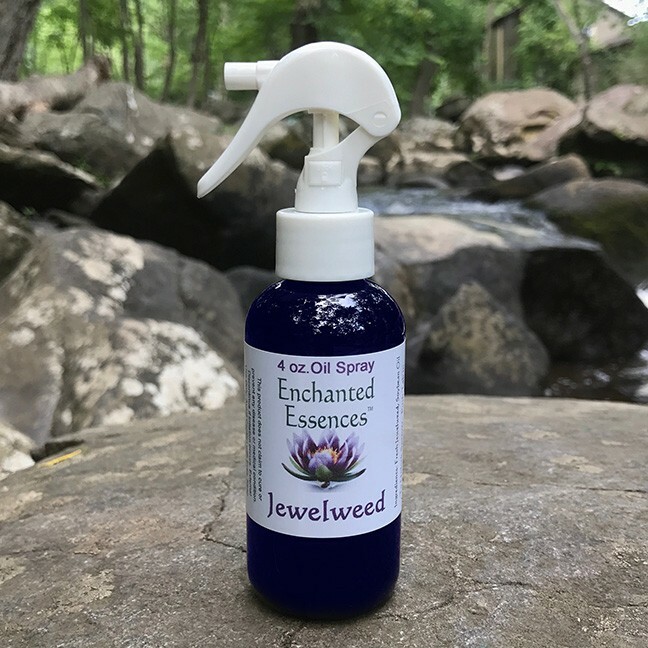 The Jewelweed Plant is a Natural Antidote for Poison Ivy and Poison Oak Contains Fresh Jewelweed Infused in Organic Olive Oil. Directions: To Unlock Sprayer - Push Tab in. Before Exposure as a Preventative for Poison Ivy/ Oak -- Spray onto Clean, Dry Skin. After Exposure to help Soothe and Relieve Itch -- Spray onto exposed area, Clean skin first if possible.